is an Industry Portfolio Manager and facilitates engagement between industry and researchers in the Faculty of Engineering. A major part of her role is developing proposals for large-scale innovation initiatives that have research, industry and government partners. Clare has worked in business development at Monash University for three years. She has delivered a range of initiatives including workshops for industry and researchers, business and strategic plans, applications for the ARC Industrial Transformation Research Program and Cooperative Research Centre Program, marketing brochures and negotiation of contracts. 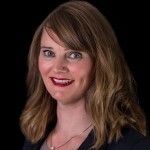 Clare previously worked in the Victorian Government developing policy and grant programs in science, technology and innovation. These programs include the Victoria’s Science Agenda Investment Fund and Smart SMEs Innovation Commercialisation Program. Clare has experience as a research administrator and research scientist. Clare has a Bachelor of Science (Honours) in biochemistry and a Master of Business and Biotechnology.